Sometimes I think I should write more about the music and less about the etchings in the wax. Then I quickly return to my senses and poke the macro in closer, but to capture the thought, this post is a little more ♪♫♪ musical. A typical 50’s – ’60s bop album included a few standards based on show tunes, a few compositions of other contemporary jazz artists, and a few of the artists own compositions. As you develop greater familiarity with the modern jazz songbook you begin to recognise the tunes, as they appear in other artists albums. I recall chatting with a guy at a Jazz festival in France a few years back. He had been a drummer in various British jazz fusion combos in the ’80s (Paz, Barbara Thompson) . As the jazz line-ups on stage worked through their repertoire, he called out every tune within a few bars. I was impressed. That’s better than reeling off Blue Note albums by their catalogue number. I thought I ought to be able to do that, but at the time I was still struggling with telling an alto sax from a tenor sax. So a focus on tunes. The tune in this case is Sonny Rollins playfully titled Pent Up House , and an excuse to play two contrasting versions, and in seamless link, to the growing up of Stereo. First: Rollins original, Pent Up House (1956) from the iconic Sonny plus 4. Pent Up House is a Rollins composition. A nagging insistent tune, just a handful of notes, a few chord changes, a tune as much implied as played, so simple it might be missed altogether, hardly qualifies as a tune. But it’s there. 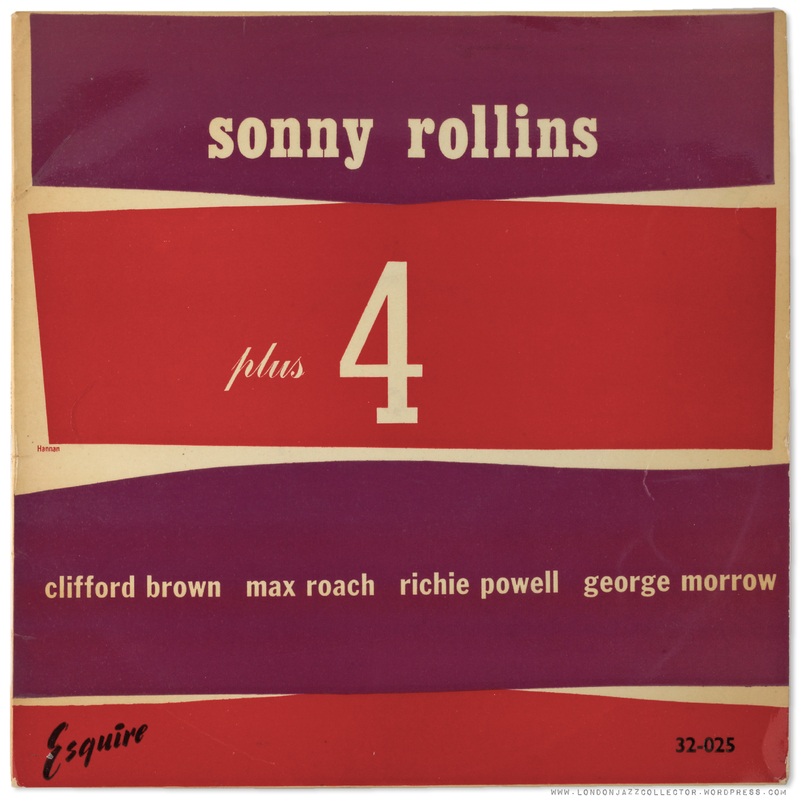 Rollins Plus Four is an ensemble work quite unlike Sonny’s trio outings. Everyone gets to stretch out, not just Rollins, and Clifford Brown is as much the star here, warm bright burnished tone, agile effortless twists and turns, his presence adds considerably to the desirability of this highly collectible album. Max Roach gets to solo too, though it is a little bash-the-boxes outing with a hint of reverb I think. Roach is ranked among the great bop drummers, but I find him more difficult to connect with than say Blakey’s roaring thunder, or Philly Joe’s split-kick. Need to work harder on it. 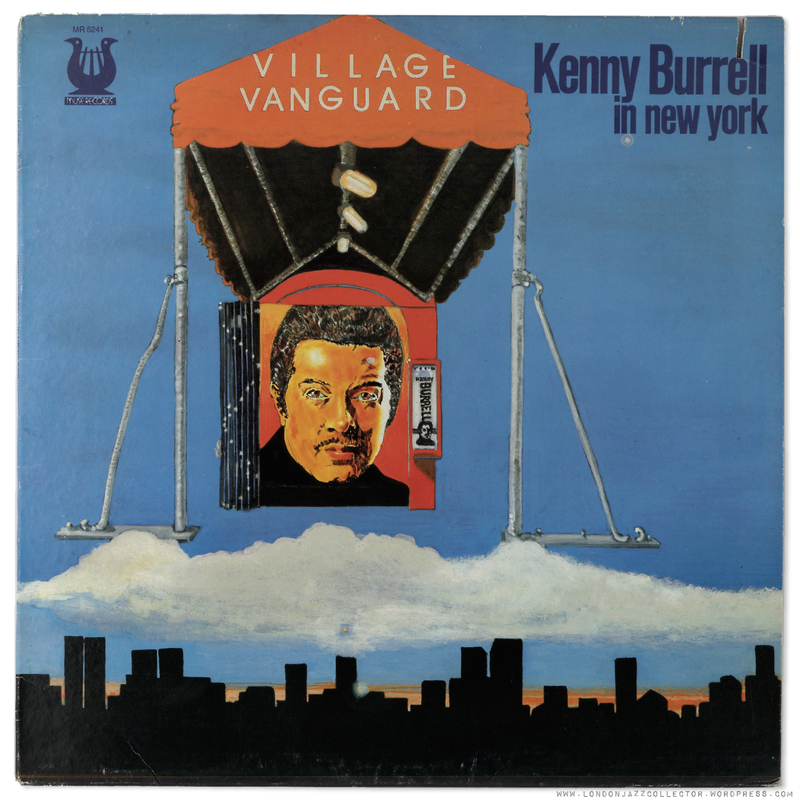 Now fast forward twenty years, to The Village Vanguard and Kenny Burrell. Musical Contrasts – a tale of two penthouses. Let’s get the Muse cover out-of-the-way first. Frankly, it’s awful. (Cue the contrarian. No, no, I really like it LJC! Really!!). Well I say it’s awful. A gravity-defying canopy mounted on clouds over a New York skyline, with an out-of-scale eight-foot head of Burrell in the doorway. If ever you wanted to put someone off buying a record this is it. But a small voice interjected: See beyond the cover, LJC, trust The Force..the Tracking Force.. Burrell’s early 1500 series Blue Notes are a marvel. Live recording, Muse are musically usually fine recordings, undervalued by collectors, Village Vanguard – hallowed venue of the masters (including Rollins). The voice said: Buy it. And I did. Kenny Burrell twenty years after Rollins original, in simple pianoless trio, allowing him to add chord voicings to melodic exploration. Burrell is about the only guitar player (apart from Grant Green) that I can listen to for any length of time. Perhaps something to do with having been at one time a note-bending guitar player myself. Burrell is master of the six strings, his rapid and subtle chord changes puts him near on par with a pianist, but with strings in place of keys. He states the melody whilst accompanying himself, surefootedly balancing the two. However the unexpected marvel of Burrell’s Vanguard session is Sherman Ferguson’s latin-tinged drum solo. You read it right, drum solo. I’m not normally a fan of rock drum solos – one who would head for the bar and return when the final orgasmic crescendo was over (cue whistles and whoops) but Ferguson had me mesmerised, pinned to the sofa following the pulse, mimicking the jaunty Pent Up House tune in his head as he works the kit, weaving a percussive swathe around the signature melody . A link here with the recent theme of “stereo”. The drum kit is miked and spread across the sound stage, not an uncommon more modern engineering approach, but a delight with someone of this ability, showcasing the rhythmic complexity of hands and feet going their own ways, the beat carried sometimes on the ride cymbal supported by bass pedal, dancing around the rest of the kit with polyrhythmic figures, rolls and accents. Sherman Ferguson – not a name I had registered, so homework revealed he had a good early recording career but like many others, retreated into session work and then education. Kenny Burrell was founder and director of UCLA’s jazz studies program, called Ferguson an extraordinary talent and a major figure in the Los Angeles jazz scene. “Sherman represented the best of what a jazz musician should be. He was a master drummer whose talent and versatility allowed him to work with a large variety of musical artists,” Burrell said. One very expensive, the other cheap as chips, but both very satisfying musical fare. One of the pleasures of music is the discovery and rediscovery of musical interpretation, getting inside the tune, exploring its harmonic potential, enjoying the artists work out their ideas, how different artists find different avenues of exploration, listening and taking cues from each other. Note how at the close of the tune Burrell gently restates the Pent Up House melody, without trying to steal back the crown from Ferguson, closing to warm applause. A beautifully recorded live set, for which I was fortunate to have the benefit of a front-row seat, without having to leave home. This entry was posted in Esquire, Muse, Prestige, Sonny Rollins and tagged Clifford Brown, Esquire, Kenny Burrell, Muse, Pent Up House, Prestige, Sonny Rollins by LondonJazzCollector. Bookmark the permalink. Was the drummer you refer to Jon Hiseman? Good shot but not Hiseman. The guy said he sat in on drums for gigs and tours for Barbara Thompson, but not any of the recording studio sessions, so he is not credited on the liner notes. The drummer for Paz in those days is listed as one Dave Sheen. I recall the conversation but sadly not the name. Hiseman I would of remembered – I saw him live with BT at the Barbican a few years back – superb, highlight of the performance. I was lucky to hear Sherman Ferguson on drums, with Kenny Burrell on two or three gigs at Yoshi’s nightclub in Oakland, California. The first time (at the original Yoshi’s location), I had the chance to talk briefly with Burrell. I told him his drummer was the most melodic I’d ever heard, a comment Burrell said he’d never heard associated with a drummer. Ferguson had a way with the kit that made you listen intently to what he was doing, without getting in the way of Burrell’s playing. Understated but artistic.